Are you finding it difficult to fit the dental treatment you need into your busy schedule? Would you like to access custom-made tooth restorations in only one visit to your dentist? Designed especially for dental practices, CEREC uses cutting-edge computerised CAD/CAM technology to enable our Apple Dental team to make and fit incredibly detailed tooth-coloured restorations and dental fillings – in just a single appointment! Traditionally, some complex procedures would have required several visits. But with the introduction of this new technology, we can offer you a more time efficient option without compromising on quality or aesthetics. During the procedure, your tooth is prepared and then scanned by the CEREC camera, which takes a 3D image of the area. Infrared waves are sent down to the preparation site and back to the camera, measuring the heights of your tooth structure, adjacent teeth, and surrounding tissue. The Apple Dental team then use this information to make a virtual model of whichever of your teeth need treatment, allowing us to exactly design your new dental crown, veneer, inlay or onlay. This digital design is sent to our milling unit that will automatically and precisely create your new restoration from a solid block of ceramic, in just 20 minutes! With Ceramic technology, there’s no longer any need for old-fashioned impressions, temporaries or reduction of your healthy tooth enamel. We can create perfect, durable restorations just for your situation – all in one appointment. Ceramic technology can be used to create ceramic crowns, veneers and fillings that look, feel and function just like natural teeth. It provides quality and longevity that can’t be matched by any other procedure or material. To see for yourself how the latest CEREC CAD/CAM technology is revolutionising clinical restorations, visit our CEREC Gallery . And when you’re ready to find out how CEREC technology from Apple Dental could give you the smile you’ve been looking for, contact our friendly team on (02) 9420 5050. What does CAD/CAM dentistry mean? CAD/CAM stands for Computer Aided Design/Computer Aided Manufacturing. Put simply, CAD/CAM technology allows the Apple Dental team to create modern tooth restorations for you, more precisely, more easily, and more quickly than ever! With this cutting-edge system, we can mill ceramic crowns, dental veneers, onlays, inlays and bridges directly out of solid blocks of porcelain, to the precise specifications needed for your individual needs. 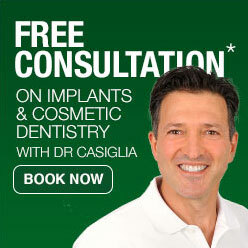 It is incredible technology which is revolutionising the service we at Apple Dental Lane Cove can provide our patients. How durable are CAD/CAM dental restorations? Excellent durability is one of the big advantages of our modern CAD/CAM dental restorations thanks to CEREC. The tooth-coloured, translucent material we use is less likely to fracture, better fitting, and more durable than restorations made using previous technology. What are the benefits of CAD/CAM technology? crowns, veneers, onlays or inlays to precisely meet your needs. Single-visit restorations bring you many benefits; such as needing to have local anaesthetic just once to prepare your tooth. Having your final restoration placed on the same day means you won’t have any need for temporaries, which can cause tooth sensitivity as well as stress about the possibility of losing your temporary restoration. And because we create your CAD/CAM restorations using only digital scans, bad tasting impression paste and uncomfortable trays are a thing of the past! Is CAD/CAM dentistry the right treatment option for me? Not every person’s teeth can be restored using our CEREC CAD/CAM system. Depending on the type of restoration you need, such as dental veneers, we may recommend using more conventional laboratory fabrication techniques. A personal consultation with the Apple Dental team in Lane Cove will help us determine if a CAD/CAM restoration is the right treatment option for you. Want to know more about this technology? Feel free to contact us on (02) 9420 5050. Apple Dental location: 1 Finlayson St Lane Cove NSW 2066.